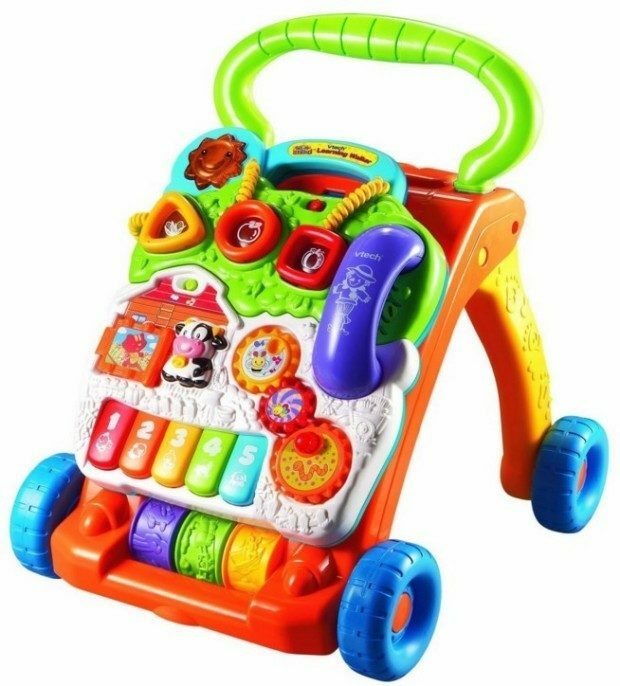 V-Tech Sit-To-Stand Learning Walker Just $14! Down from $34.99! You are here: Home / Great Deals / Amazon Deals / V-Tech Sit-To-Stand Learning Walker Just $14! Down from $34.99! You can get this V-Tech Sit-To-Stand Learning Walker for just $14, right now! Down from $34.99! They are $20 and up on Walmart, right now – regularly $34, so you can see this is a great deal! We have one of these for our granddaughter. She loved it when she was tiny (3mos) and then when crawling and learning to stand. She isn’t walking (9mos), yet, but she loves to hold on to it and “walk” around. It truly has been a toy to grow with. You can remove the activity center on the front to use in the crib or anywhere without the wheels.